Home » News » Enter the 2013 Media Awards on Water! Enter the 2013 Media Awards on Water! 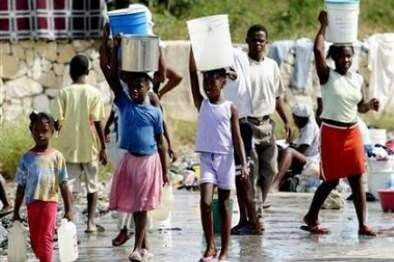 The Caribbean network of the Global Water Partnership, officially known as the Global Water Partnership- Caribbean (GWP-C), is currently accepting applications for its Media Awards on Water 2013 until May 12th, 2013. Through the Media Awards on Water, GWP-C hopes to inspire Caribbean journalists in the areas of print, television, radio and multi-media to report more on water related issues in the region. Journalists working across these platforms are required to submit original published pieces on any of the water related topics outlined in the competition’s guidelines. Peruse the details (Announcement, Guidelines and Registration Form) on the GWP-C Media Awards on Water 2013 are available here. There are great prizes and awards up for grabs! By caribbeanclimate in News on May 4, 2013 .